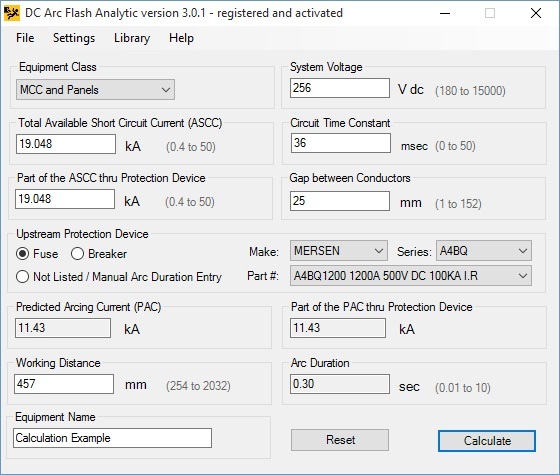 The program will automatically take care of determining predicted arcing current, and arc duration at the predicted arcing current through protection device based on the selected protection device time-current characteristic adjusted for the circuit time constant. See How to calculate incident energy and arc flash boundary of a DC arc flash for the detailed DC arc flash modeling information. You can fine tune units of measurement for input and output data by clicking on Units from Settings menu. 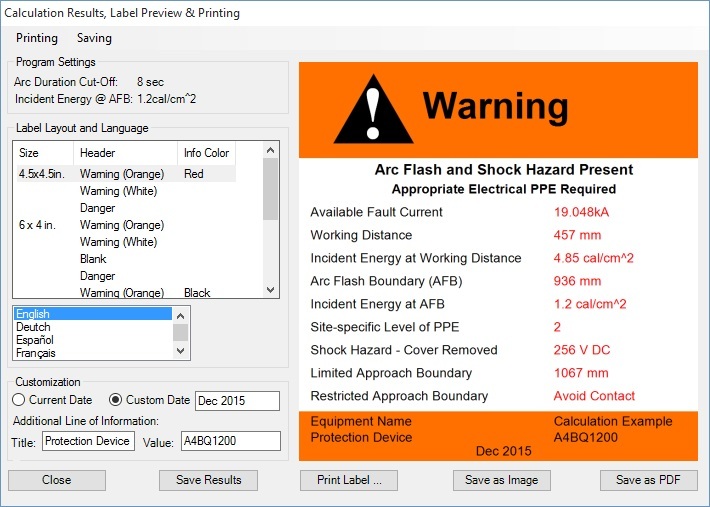 The DCAFA V3.0 software program also allows you to adjust arc duration cutoff, incident energy at arc flash boundary values, save equipment configuration, and more. Please check the program Help for more information.